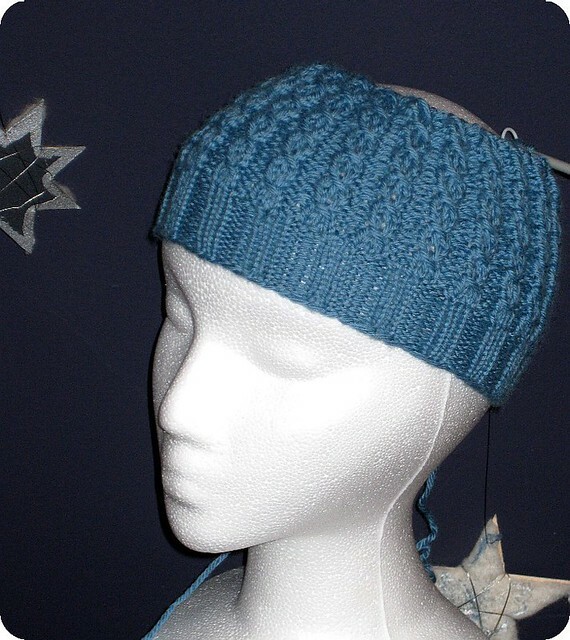 I simply love knitting hats. They are knitting instant gratification at its finest. You work away for a few hours, and bam! you have almost finished the thing! Really helps restore one’s confidence, especially after, say, ripping out a project that makes you want to throw a hissy fit. A hat is just the remedy for such feelings of failure. I cast on this beauty last night, which is a really quick & easy knit. False cables that travel like figure-8’s up the “body” of the hat. Really enjoyable! Yarn – Nashua Creative Focus Superwash in teal blue (but to my eyes, its really a steel-blue, whatevs), worsted weight. Needles – 4mm & 5mm 16″ circular needles. You are currently reading A hat to restore confidence at When Gaia Smiles.